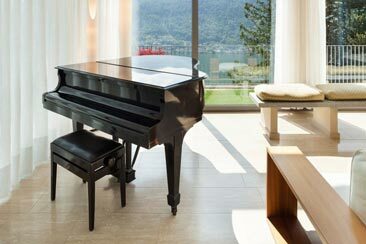 Piano Removalists Perth are an experienced company, with an outstanding reputation in the industry. We pride ourselves on providing the best piano, pool table, spa and other heavy removals and relocation in the wider Perth metropolitan area. We also service surrounding areas as far south as Rockingham, Mandurah, Kalgoorlie, Bunbury, Busselton and Albany, and as far north as Geraldton. We are committed to making you a priority and will readily work after hours and weekends to suit your needs. Your designated professional piano removalists will always ensure your piano is moved and relocated with extreme caution and care with quality moving equipment. Our team have 35+ years of experience in dealing with the relocation of some of Perth's finest musical instruments and other goods. Perth Piano Removals have the equipment, know how and ability to perform even the most specialised and complex piano lifts, removals and relocations. As well as private customers, we move pianos to and from piano shops, concert halls, school, universities and tuners. Not only do Piano Removals Perth have the necessary skills and equipment, but we are also very aware and prompt on being vigilant with time demands. 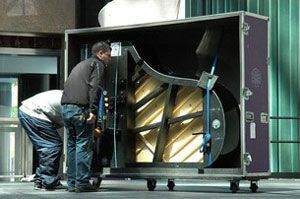 After all there would be nothing worse than not having piano movers on time for a concert. The majority of business comes from referrals and repeat business from happy customers. This is something we are also very proud of. Piano Removals - We move pianos from as far north as Jindalee, Butler and Quinns Rock (even Geraldton), all the way down to Rockingham, Mandurah and Bunbury. Pool Table Removals - Our specialist moving equipment allows us to move other heavy items such as pool tables. We take special care with these items, especially the felt surface. Spa Removals - Need a spa moved? No problem. We can come to you and shift most sizes of spas except large swim spas. Piano Storage - We've teamed up with Perth's leading storage solutions company and can store your valuable musical instruments for short or long term. Piano Hire - Want to hire a piano? We can assist. Contact one of our team members and we'll go through your options. Lessons - Looking to become the next Bach or Beethoven? Our lessons can help you on your way. Tuning - Not only do we move your piano, we can tune them too. As a valued customer with us, there is a lot of reassurance and reduced worry in the removal of your valued instrument; knowing and understanding the company you trusted to move your piano have obtained the proper insurance. Sadly, for some removal and even piano removal businesses they do not have adequate insurance to cover damage of your piano if your instrument is damaged in the removal and relocation process. Perth Piano Removalists have left no stone unturned. You can rest easy knowing that Perth Piano Removals is fully insured in the unlikely event your instrument is damaged in our hands. This insurance, coupled with our 100% client satisfaction and customer service record, and 35 years of experience, gives you the needed extra peace of mind your instrument is being looked after in capable hands. What Does it Cost to Move a Piano or Other Heavy Item? Coupled with market leading service, care and client satisfaction, Perth Piano Removals offer the most competitive prices on the market to ensure our prices are always reasonable and affordable for the customer. Contact us by phone or alternatively fill out our form to receive a free instant quote on your piano, spa, pool table or heavy item moving needs in Perth and surrounding areas in Western Australia. Contact Piano Removalists Perth for a free quote today! At Piano Movers Perth we understand your instrument needs to be transported with care at a moments notice. We are proud to declare that we can have your piano safely and quickly removed and relocated with as little as 24 hours notice - completely painless and stress free for our client. Again this is evident with the amount of repeat business we receive. 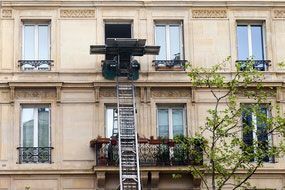 Moving office or house isn't always the easiest and most enjoyable job. Piano Removalists Perth, however, is a company that aims to make these processes as convenient and simple as possible for people. Our skilled and experienced removalists can move all of your pianos, spas, pool tables and other heavy items in a safe, secure and efficient manner. 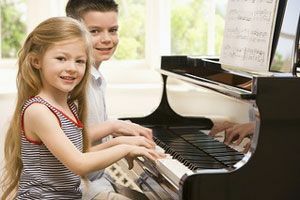 When you need professional piano movers Perth can stand by, we're here for you. Relocating your musical instruments or other valued items to a new office or residence can zap you of all of your energy. That's why it can be so smart to seek assistance from professionals who have extensive experience on their side. If you want to streamline your relocation process, we can provide you with the assistance you can count on. Our professional removalists are efficient, capable and proficient people. They're fully devoted to the work they offer our valued customers. They completely understand how time-consuming and how complex relocation projects of all sizes can be. That's exactly why they work so tirelessly to accommodate all of our customers' specific needs and wishes. If you want to relocate and do things your way, we are available to assist you. Our removals services are also reasonably priced. If you're trying to find cheap removalists Perth can rely on, you can lean on us. Although our removals services are far from expensive, they never neglect exceptional quality in any way. Our removals services are world-class no matter how you look at them. When you want a removalist company that is committed, courteous, responsive and attentive, Piano Movers Perth is the business you need. Just like our removals partners in the UK we operate with true honesty and integrity. Call us at Piano Removal Perth for additional information. When you need a removalist Perth can count on, we're the top choice in the CDB and surrounding suburbs. Our staff members are all pleasant, welcoming and knowledgeable people who love assisting customers. We can give you an instant free quote for our removals services as well. Planning a move in Perth has never been quite so smooth, easy and efficient before. 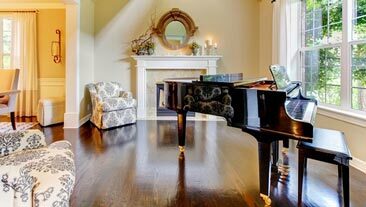 Call Piano Removals Perth today! We predominately move pianos as our busiest and most specialised service. Our staff have experience and expertise in moving all types of pianos; including upright, grand pianos and baby grand pianos. We strongly urge you to reconsider using a generic removal company and amateurs to move your piano as they often do not have the correct knowledge, skills and equipment to transport your valued instrument safely and damage free. We ask you to consider carefully who has the experience, knowledge and capabilities to do a proper job. different floors, trolleys and covers, and a fitted out fully enclosed truck with room for anything from your standing upright piano to the largest grand piano. We are the only piano removalist in the Perth region that has a hoist on the truck capable of performing up to 3rd level lifts. We work closely with and recommend only the safest, reliable, insured and affordable crane companies in Perth to perform lifts from second story and above. Here at Perth Piano Removals we raise the bar moving pianos in Perth and Western Australia. We value your instrument just as much as you do. You can count on us for punctual and prompt service. We specialise in moving heavy and large items only (not furniture or other small goods). Since repeat business and customer satisfaction is a big priority for our company, we make a point to treat our customers' belongings like our own. Our customers never have to worry about our professionals mistreating their possessions in any way. Our removals team know exactly how to handle all of the most fragile and delicate objects. That's because they care. 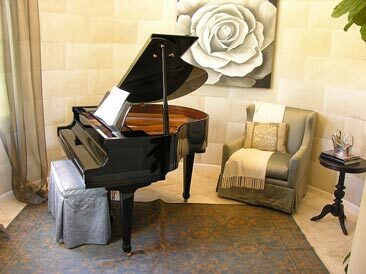 Piano Removalists Perth is a company that loves nothing more than seeing customers smile.